My crazy, outdoor loving boy! His birthday! This little man, baby o’mine is now six years old. Wow. Today we are celebrating bymeeting up with family this evening for “shwimp and fwench fwies.” (Don’t worry I texted the speech language path and requested he be on her list!) Tomorrow we will be heading to Tennessee for a last minute celebration of random sorts. Today is also the last Friday of summer break. That means I have to do weird things like really grocery shop, battle waking up children before 7am, and be the homework sergent. Geez what was I thinking when I thought I wanted kids? JUST FREAKING KIDDING. I posted out three food posts….It’s Party Time: A Lot of Food. Healthy Girl: Keep Eating Back 2 School With The Bullards Part Food. I got in three classes at the YMCA. Two Sprint (pedal til you have a heart attack is my motto) and Metabolic ahhh I have missed that class. I also did some at home workouts this week because I was home…with kids…and it was work out or drink wine. Aren’t you so proud of me? Wednesday was a work day and my kids went with me! No comment. I’m glad school is starting. It was back to school night and this dude is kinder bound. His sister was anti photo. And that has been our week in a nutshell. Now we’re going to celebrate! Next week on the blog I have some posts like more Back To School crap, What’s UP Wednesday, and Healthy Girl. And that is that! Eat well, have fun, and be active! God Bless Speech Pathologists! Seriously though! They are miracle workers. I had to laugh so hard about the wake ups and the real grocery shopping…BOTH of those things are going to be a struggle around here. I have been waking up my kids at 7:30 and they are MAD. However, next week they get to wake up an hour earlier so lucky them…they can hold their applause and thanks until then! Ha! Happy Back to School Week to you next week! Sounds a lot like our week! My son just had a birthday (turned 8), we had open house Thursday night and school starts Monday! I hope your guy had a great birthday! I also wish him a wonderful school year! 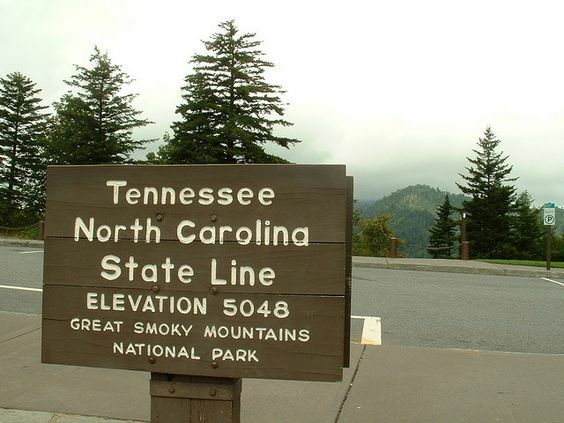 I have been passed that state line too – whoop! I drove with a friend from Greenville to Dollywood for hours and hours and it was shut when we got there. So we spent a night in Cherokee wandering around a casino we didn’t gamble in. You ARE good doing those classes – I just can’t seem to find the time since my bad news with catching up on work and feel like poop, can’t wait to get started again. Do you teach those YMCA classes or take them? Joanne. I am an NC girl so I know the drive from Greenville to Tennessee is a tough one! I’m not a fan of Cherokee. I did gamble there once before – it wasn’t that fun since I didn’t win LOL! I love to coach but currently am not teaching my goal is to get back there when I’m more comfortable! You will get there in your time. A lot has happened to you in the recent weeks and you need time to decompress and move forward. Sending you love!